China Mobile Limited is a giant stalwart with operations in mainland China, qualifying it as one of the largest telecom companies in the world. Even with its sheer size, China Mobile Limited has managed to grow its revenue by 7-8% annually. Its expansion into emerging businesses of IoT and cloud computing provides a promising new source of growth. The high dividend yield of 4.14% and low ~11xP/E provide steady dividend income and a relatively low valuation. 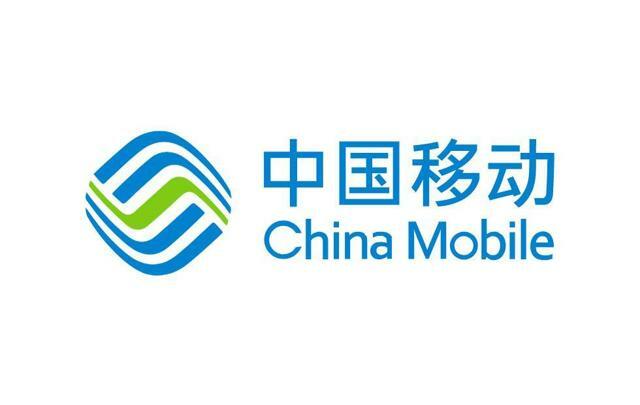 Due to its growth prospects related to its expansion into IoT, cloud computing, and big data, we believe China Mobile Limited (CHL) is a buy for relatively conservative, long-term investors. Investors looking for major double-digit growth may need to consider other opportunities, but for patient investors accepting high single-digit low double-digit growth while collecting a 4% dividend, China Mobile is worth consideration. 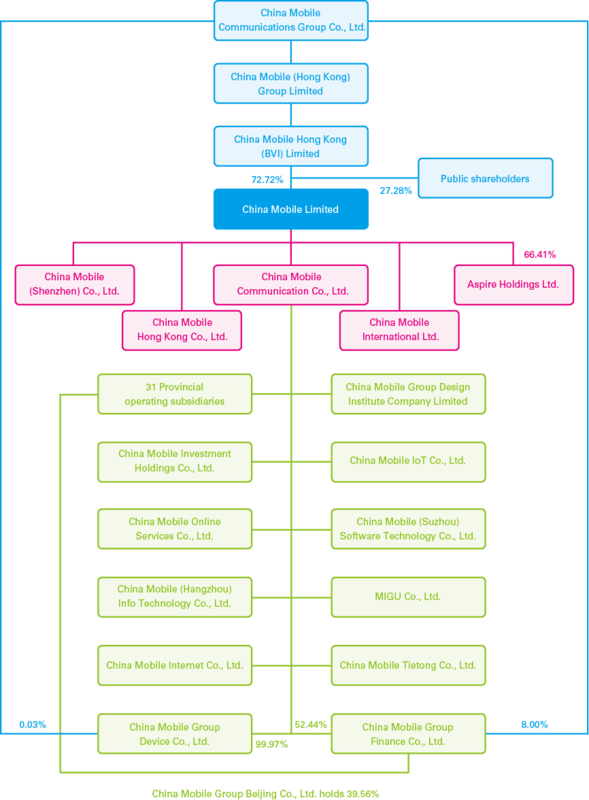 China Mobile is a state-owned telecom service provider with operations in Mainland China, Hong Kong, Pakistan, and the UK. Its service through mainland China makes it the largest telecom company in China as well as the world, by market capitalization as well as by the total number of subscribers (925 million). The firm was initially incorporated in Hong Kong in 1997, which still remains its headquarters today. China Mobile sports a strong 60% market share with only two rivals, who are state-owned as well. The company operates 2G/3G/4G wireless network with substantial market share and is the aspirational frontrunner to extend the upcoming 5G network as well, with its tests beginning in June 2020. The government of People's Republic of China is the ultimate majority holder of the company via China Mobile Communications Group Co., Ltd. (formerly known as CMCC), which holds 72.72% stake in China Mobile, while the rest is public ownership. The company is listed on NYSE as well as HKEX/SEHK (Stock Exchange of Hong Kong). The company has shown consolidation in growth in recent years with only a slight improvement in the ARPU due to China Mobile's wider deployment of 4G tech in rural China. The company holds a rock-solid market position with only two related companies, China Telecom (NYSE:CHA) and China Unicom (CHU), to compete with, as the Chinese market remains essentially protected barring any outside players. China Mobile stock trades at an affordable 12x P/E and 1.3x P/B. The company has no debt, and an investor has the security of knowing it is government-backed and massive in size. It pays a handsome dividend which currently yields 4.14% at today’s price of $49.90. With the strategy to deploy 5G network tech in advance and leveraging future tech like IoT, the company is believed to keep up with current growth levels even with its size. We recommend an investment in China Mobile for long-term, relatively conservative investors looking for strong, consistent growth and a healthy dividend. The average year-on-year growth for revenue is 7.75% for the last decade, an acceptable number for an operation of its scale. However, net income has not shown the same growth, growing at an average of just 2.76%. Let’s dive further into the three pillars of the company’s financials. Profitability measures the ability of a company to generate income from the top-line. China Mobile has had a strong net income margin, with the latest at 15.77%. Recent years have shown some consolidation and leveling off; we expect the net margin to remain at 15-16% levels. ROE and ROIC have averaged 11.78% and 10.47%, respectively. 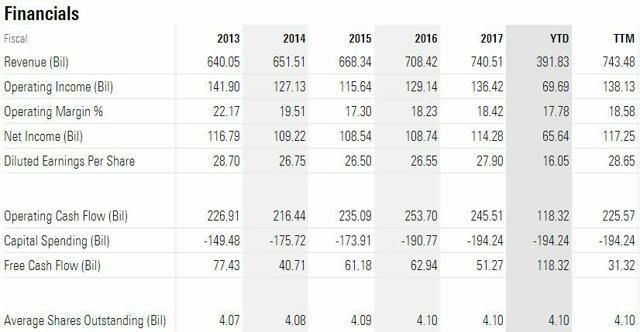 China Mobile has not been successful in consistently growing its free cash flow, but it does continue to generate a lot of cash each year – having been cash flow positive every year for the past decade. China Mobile’s business is quite capital-intensive, which has reduced its free cash flow as of late. The company has executed some capex reductions in recent years and expects about 10% further reduction in 2019 due to the upcoming 5G trials and pre-commercialization. This should lead to improvement in its free cash flow growth and generation. China Mobile has a strong balance with no debt and nearly enough cash to pay off its total liabilities. The company sustains a current ratio of above 1x, a current ratio of about 1x, and 0% debt/equity ratio. Firstly, China Mobile dominates the Chinese network service market with about 52% of the total service revenue. 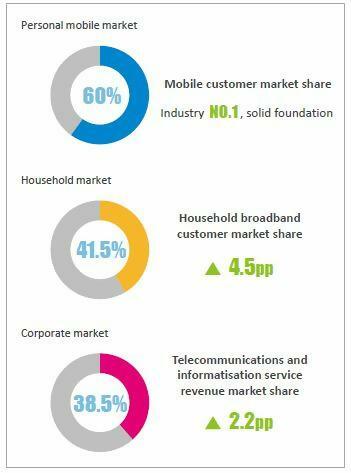 As the figure below (company presentation for FY18) dictates, China Mobile has 60% market share in the wireless/mobile network, and 41.5%, 38.5% in household broadband and corporate market, respectively. China Mobile ARPU for mobile is 53.1 RMB, and for broadband segment, it is 33.5RMB. Both figures are best amongst its competitors. Mobile ARPU decreased this past year universally due to Chinese government capping 4G service tariffs. China Mobile competes with only two rivals who threaten its position in the wireless/mobile market who again are government-backed; China Unicom with 21% share, and China Telecom with 19% share. The rivals have captured some market share in the recent years, but China Mobile compensates by increasing the share in the broadband market and is expanding into emerging tech like IoT, cloud computing, and big data businesses. We expect China Mobile to remain a dominant player in overall revenue share due to growth in broadband ARPU and by leveraging emerging tech since it has the advantage of the highest rural market penetration. Mr. Jie, aged 56 is the newly appointed chairman of the company, taking the position on March 4, 2019, replacing Mr. Shang Bing who was on the board since 2015. Mr. Jie also replaced Shang Bing as the chairman of the China Mobile majority holder CMCC. The company has stated the retirement age of Mr. Bing being the reason to replace him. Yang Jie has served various higher management positions in state-backed enterprises like President and Chairman of China Telecommunications Corporation and Chairman and Chief Executive Officer of China Telecom Corporation Limited (China Mobile's major rival). He is a graduate with majors in radio engineering from Beijing University of Posts and Telecommunications and has earned a doctorate in business administration from the ESC Rennes School of Business. Aged 58, Li Yue holds the post of CEO and is responsible for daily operations, development and execution of business strategy. He joined the board in 2003 and was appointed CEO in 2010. He too has served posts in institutions like Vice President of CMCC and Chairman of Union Mobile Pay Limited. Mr. Li holds a Bachelor’s degree in telephone exchange from the Correspondence College of Beijing University of Posts and Telecommunications, a Master’s degree in business administration from Tianjin University and a doctoral degree in business administration from Hong Kong Polytechnic University. Mr. Xin is the primary handler of the financial affairs of the company that includes corporate affairs, finance, internal audit, legal matters, investor relations, human resources and IT of the Company. He is aged 51 and joined the board in March 2017. He has held various positions at the CMCC and holds a Bachelor's degree from Beijing University of Posts and Telecommunications in 1989, a Master's degree in financial and accounting management from Australian National University, and a Doctoral degree in business administration jointly issued by Shanghai Jiao Tong University and ESC Rennes School of Business, France. China Mobile has strategically expanded into the following emerging tech: Internet-of-Things, ICT, cloud technologies, and big data. This should allow it to keep up its growth. The company faces competition from more private companies in these areas, but the R&D department has been aggressive to keep up with its competitors. The company presentation for the fiscal year ending in 2018 shows the tremendous growth in these segments. IoT business revenues are up 40.2% YoY, while the overall share of revenues for emerging business hiked from 7% to about 9%. The company expects huge growth in this segment with increasing acceptability and decreasing costs of the tech. China Mobile has a competitive advantage over rivals in this area as it has the highest network penetration with availability in all 31 provinces (China Mobile network is even available on Mount Everest). Next comes 5G, where again China Mobile’s R&D department has been actively researching its own tech equipment for the next-gen communication. For 3G and 4G, the company has used TD-SCDMA and TD-LTE technology in the past, but 5G is said to be a whole new game which is yet to be tried commercially. China Mobile will begin its commercial trials in 2020 with required rational capex in 2019. 5G deployment will again provide a huge competitive advantage with rivals having lag in tech acquisition and compatibility issues. Also, 5G would improve the ARPU and hence the overall top-line growth. As mentioned earlier, China Mobile faces relatively strong competition from China Telecom and China Unicom which has turned fierce and aggressive after the 4G expansion and the government's "high speed and lower tariff" policy implementation. The policy change has led to ARPU fall and hence increase in the competition to keep the top-line growth intact. Apart from that, it is speculated that the government intends to merge China Telecom and China Unicom into a single entity which may prove a positive due to an increase in synergies. The government's "high speed and lower tariff" policy was one of the key events that led to a drop in ARPU. The capex for 4G deployment was high and such policy change decreased the return on investment. Such policy changes and disruptions remain a critical risk to the future growth of China Mobile. China Mobile is a quality company with a rock-solid market position. The relatively low P/E of 11.22x and P/B of 1.3x is a signal of its low growth on both the top line and bottom line. However, given the company's move towards emerging technologies such as IoT, cloud computing, and big data, there are new avenues for higher growth on the horizon. It is also trading slightly below its 5-year average valuation metrics and a bit below its industry average on a P/E and P/B ratio. A reversion to the mean on these metrics would provide upside for investors at today’s price. The political risk of a state-owned enterprise is one that investors should certainly keep an eye on, but it also provides investors with some downside protection. An investment in China Mobile is recommended for moderately risk-averse investors with a desire to collect consistent income via a dividend. An investor looking for a high-growth opportunity may be intrigued by China Mobile’s move into 5G networks, which may, in fact, provide a strong growth lever, but due to the company’s size, it will be difficult for a growth investor to obtain adequate investment returns. Additional disclosure: Although we do significant research and due diligence, we are not always right with our predictions or recommendations. This also applies to our grammar; please excuse any typos you may find. This article is free to readers with the purpose of assisting with research, while also providing a forum for second-level thinking and discussion. This article is for educational purposes only; we have not considered your specific situation and we are not your investment fiduciary.